World TB Day 2016 is today! World TB Day, every year on March 24th, aims to raise public awareness that tuberculosis (TB) today remains an epidemic in much of the world, causing the deaths of nearly one-and-a-half million people each year, mostly in developing countries. 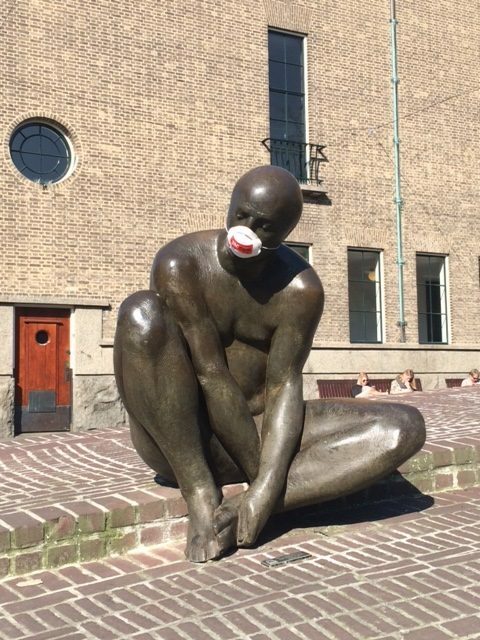 In the Netherlands, where most people think TB is a disease of the past, KNCV Tuberculosis Foundation and the Municipal Health Centers are joining forces again in a national publicity campaign. We will decorate statues with a symbolic protective mask and a sticker linking to a campaign website. KNCV country offices all over the world are also organizing events on World TB Day. World TB Day commemorates the day in 1882 when Dr. Robert Koch astounded the scientific community by announcing that he had discovered the cause of tuberculosis, the TB bacillus. At the time of Koch’s announcement in Berlin, TB was raging through Europe and the Americas, causing the death of one out of every seven people. Koch’s discovery opened the way towards diagnosing and curing TB.